I apologize for the delay of updates. I had to do a great job (about 10 000 lines of code). Currently a new update is in testing. 1. You can create and test not only the fit, but also fleet. 2. 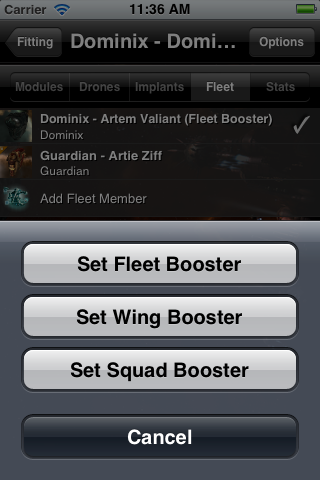 You can set fleet boosters. 3. 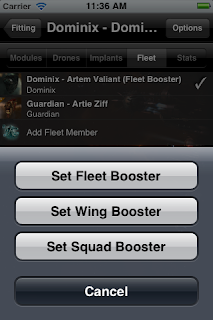 You can set target for each your module or drone (remote repairers, power transfers, stasis webifiers - everything will be taken into account). 4. You can set WH bonuses (for WH warriors). Will you also be updating the POS feature considering the fuel block update? Sure. It will be the with new database dump. Wen do u plan to launch the new update? 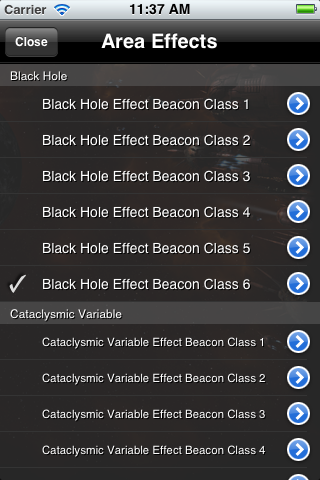 I plan this week to finish testing and upload build to appstore on Monday. New build submitted to Apple and waits for review. I can't tell you how much I use and love this app. Keep up the amazing work! I really appreciate your efforts on this app, I tend to use on my iPad. For those who might ask, how long it will take until the update shows up into Apple's AppStore, usually in a timeframe of 7 days after release. How long does it usually take for Apple to approve an update? hi realy great app. i like it very much. one think what i noticed was that in the wallet tab you only see items you sell or buy but not bountys, misson fees, gifts or anything else relatet to the wallet. could you possibly add this so you can see all your transactions? Awesome App. Any update on the update? Been frantically clicking on the update section of the Apps store for over a week now waiting for it to pop up, my fingers are starting to hurt! Ps. on the rating in the app store some noob has complained that the EHP calcs are wrong because adding an armour mod, DCU2 (wtf lol), has increased his shield EHP and effective passive recharge amount. His stupidity makes my day better. I sent to Apple EVEUniverse last monday. I do not know why Apple does review so long. I hope that the update will appear in the next few days. Hmmm :(, found a bug already. Same on both iPhone 4 & iPad 2. On the fitting tool, the stats dont update unless you quit the ship you are fitting & reload it. I'll trust you will sort it out soon. Keep it up! Couple of bugs - none of my (MANY) fits will calculate stats. Also, it forgot all my implants again. Hope the bugs get ironed out. I donated ages ago, so obviously I'm a big fan of the app regardless. Thanks for the app. Please advise if there is a workaround other than recreating all my fittings from scratch. 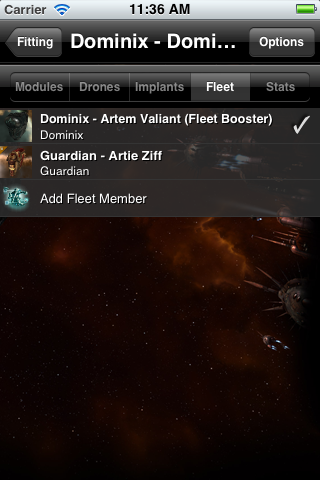 Currently i see problems in calculating stats on T3 ships. I fixed it, but update will appear on AppStore not earlier than one week. First of all: thanks a lot for the awesome work! I've also problems with the fittimg tool. 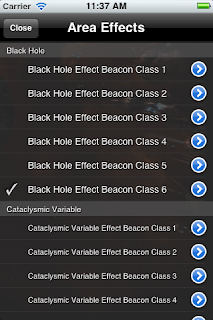 The stats are not updated (HP, DPS of the turrets) and in the drones section it calcilates the DPS of all the drones even if you cannor launch them all. 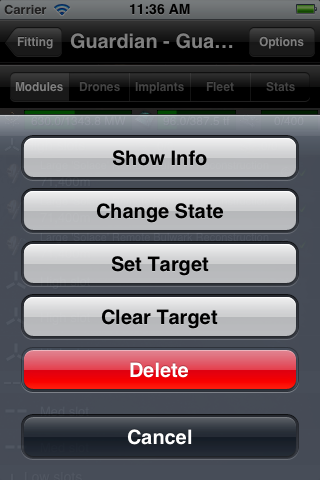 And if you deactivate them, the next time you load the fittimg tool they will be reactivated. Same problem with fitting tool. Recalculation works buggy. Saved fits (before update) opens with offlined modules, when I try to online them the app crashes. Fit stats updates with one-step delay. THX for your work! Hope you fix this bugs. Thank you guys for feedbacks. I'm working on the problem.